Every once in a while, an album comes along by a new artist that raises the bar and blows you away (think D’Angelo, Badu, Maxwell). 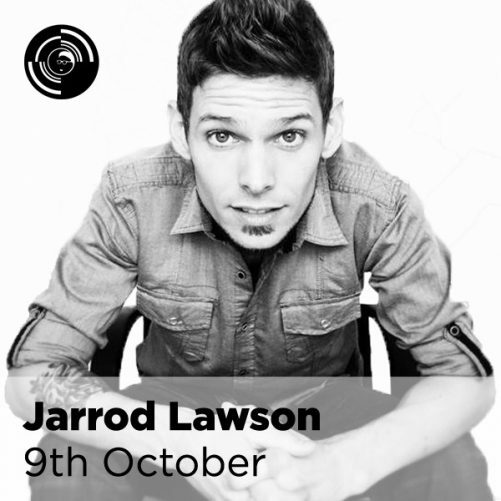 Jarrod Lawson has made one of those albums although all together different from those artists, his debut comprises songs and musicianship of such quality it is like a breath of fresh air. Jarrod writes songs with meaning, sings with true feeling and beautiful harmonies, and his keyboard playing is superb throughout. Jarrod’s musical mentor, the legendary local singer and keyboardist, Bobby James has clearly left his indelible mark, evident in Jarrod’s trifold, multi-tasking live performance approach, covering both the right hand comp/solo and left hand bass keyboard roles, simultaneously spreading soulful lead vocals over the top of it all. Now, well on his way to making a name for himself in the Pacific Northwest, Jarrod has shared the stage with such international acts as Average White Band, Maceo Parker, Angelique Kidjo, Bilal, Ronnie Laws, Loose Ends, Liv Warfield, and Robert Glasper. Maybe best of all for Jarrod, so far, was performing at Stevie Wonder’s birthday party. Whether he sings and plays funk, folk, R&B, rock or jazz – as has been said many times – “everything he touches turns to soul.” What began as a child’s interest in sound and rhythm has become a man’s expression of his own character. He sings from his integrity and spirituality, passion and compassion, empathy and sympathy…in other words, his own soul.